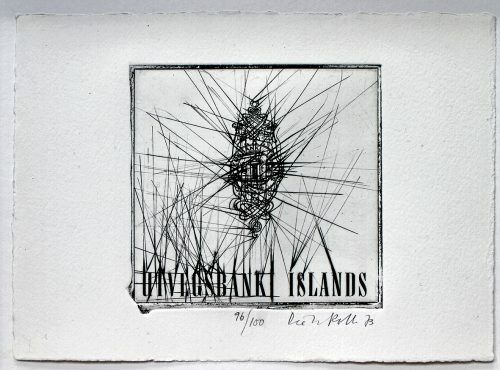 Using a small Dieter Roth etching from 1973 as a motif, this exhibition suggests that each work format could be considered as a kind of island, individualised, but nevertheless interdependent in ways that refer to Roth’s vast and varied oeuvre. Artists who make works on paper that have autonomy from other aspects of their output could be described as looking for space, for movement beyond accepted genres. The selected artists all make works on paper or out of paper that appear self-contained and yet may not necessarily be defined as ‘drawing’. This suggests two enduring aspects of art practice; one is the impulse to work beyond logical categorisation, the other is the urge towards the absurd or contradictory. For example, words can be combined in ways that make perfect structural sense while the meaning of the sentence remains illogical. Similarly, art can appear visually highly organised, while refusing to adhere to accepted genres or categories. 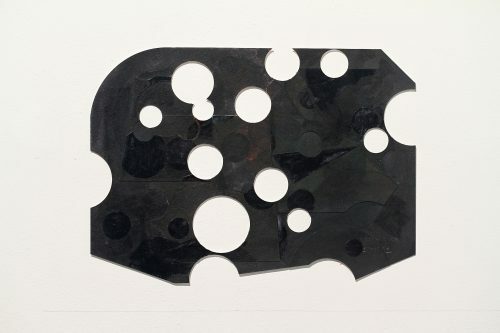 By also considering what lies between the logical and the absurd – which at the inception of Modernism was defined by the relationship between Constructivism and Dada – a long tradition is revisited and given new energy. If the current situation can be described as one in which the initial self-conscious stages of Post Modernism have been replaced by a less doctrinaire desire to revisit art history, an exhibition such as this can then explore ideas of influence and echo without anxiety. There are many possible narratives behind what, on the surface, may appear to be an entirely self-contained work, equally, the sequential imagery of a cartoon can be collapsed into a world that is not deliberately coherent, but finds oblique ways to make visual sense. His multi-layered paintings use various shapes in free and geometric abstraction combining materials such encaustic, watercolour and oil paint. 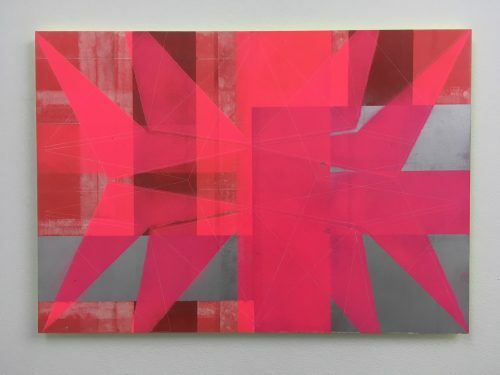 Numerous opposites such as drawing and painting, transparency and opaqueness, line and plane, colour and non-colour as well as glossy and matt surfaces come together in multi-faceted and inscrutable whole. Since 2007 he has been researching British Constructionist and Systems Art in relation to contemporary practice and he is currently working on an architectural commission for Piccadilly, central London. Jyll Bradley’s installations, drawings and sculptures draw upon aspects of minimalism to express a uniquely personal engagement with identity and place. 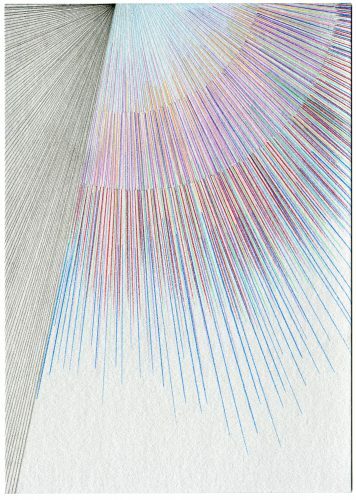 Light is an important protagonist in her practice, and she talks of using it to ‘bring things into the present’. Bradley’s work increasingly engages with architecture, site and community, her unlikely pairings of materials and traditions inviting reflection upon dualities of self and environment. Known for her hard-edged compositions and bold colour combinations, in recent bodies of work (abstract portraits) Goodwin has introduced a new chance element to the process of making her paintings. Where previously she has allowed the meeting and misalignment of forms in space to imply a compositional game in progress, the new lexicon of motifs appears to sit on or grow out of washy, amorphous grounds. This contradiction between compositional ingredient and spillage, active design and accidental outcome quite literally brings an extra dimension into view. In recent years Goodwin has crossed over into the field of curating, developing her practise as ‘Artist as Curator’, the idea to curate around practise. Clare has recently curated the third in the series-The Museum of the Unwanted. Lothar Goetz *1963 Günzburg DE, lives in London. Kunstakademie Düsseldorf, DE 1993-95, Royal College of Art London (MA Painting) 1996-98. “You begin with a dot, stretch to a line and expand to the plane. Lothar Götz extends this conventional grammar of drawing into the third dimension, claiming the space of architecture as his drawing board. He does so with the precise vocabulary of geometric abstraction, all the while articulating it in his own poetic idiom of colour. Lothar is currently showing at David Risley Gallery,Copenhagen- Backstage. Daniel Robert Hunziker *1965 Walenstadt CH, lives in Zürich. Daniel has a special relationship to space, and space-relevant architectural practices are an integral part of his work. He integrates architecture into his work, which in turn incorporates the work within a specific location. 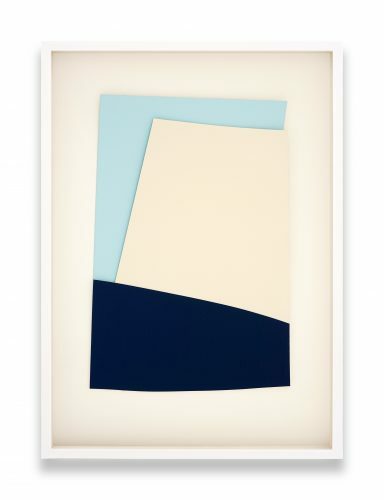 Hunziker uses spatial stagings and constructions to make visible fractions of reality and project them outwards. His choice of materials is never random, nor the way in which he assembles them. Mixing nature and technical know-how, his works are not on a standard scale; in fact they often manipulate different scales and combine models with life-size structures, thereby allowing the viewer to take a fresh new look at his own perception of space and at the norms society imposes upon him. 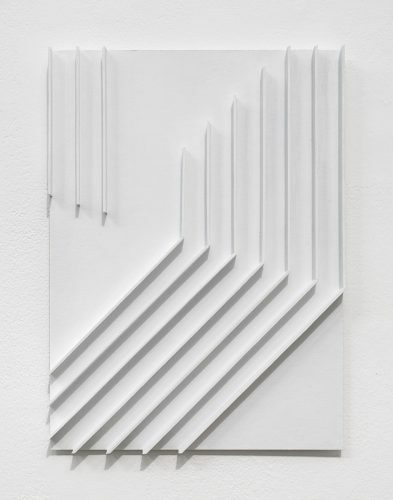 Daniel is currently showing at von Bartha Gallery in Basel – Its never been this close before. Dieter Roth *1930 Hannover, DE, died 1998 Basel. Dieter Roth was a German born Swiss artist best known for his artist books, editioned prints, sculptures and works from found materials. The dark undertone and furious, obsessive energy of his work ultimately separated him from many of the more lighthearted Fluxus artists. Perhaps despite himself, he was a fluent draftsman and expert printmaker, and his drawings and prints contained his wild energy within peculiarly virtuosic forms. 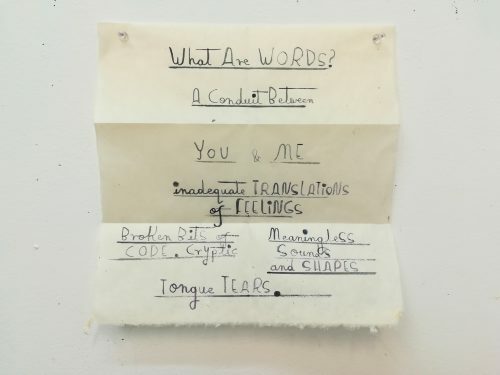 In Emma Talbot’s practice it is as much the mining of her own autobiography, as the biographies of others, both real, imaginary, and fictional, that is explored, sliced–open, edited and articulated. Micro memories and fantasies jostle on macro canvases. She negotiates the twentieth and twenty–first century struggle of the individual in life, in the family, at home, and in society through her work. The outcome is articulated directly onto canvas and paper, always with painter’s brush and always freehand.Emma is currently showing at Galerie Onrust in Amsterdam – Women – Snake – Bird.